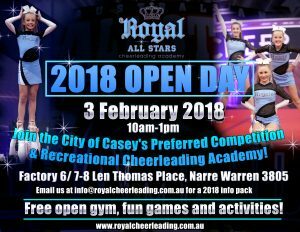 Join the Royal All Stars Cheerleading Academy for 2018! HAVE YOU EVER DREAMT OF BEING ROYAL? Well now is your chance – 2017 has seen some amazing results, achievements, memories and friendships created and 2018 is looking to be BIGGER and BETTER! Royal Cheerleading welcomes all ages, body types, fitness and skill levels – whoever you are and what ever background you come from, we have the team for you! 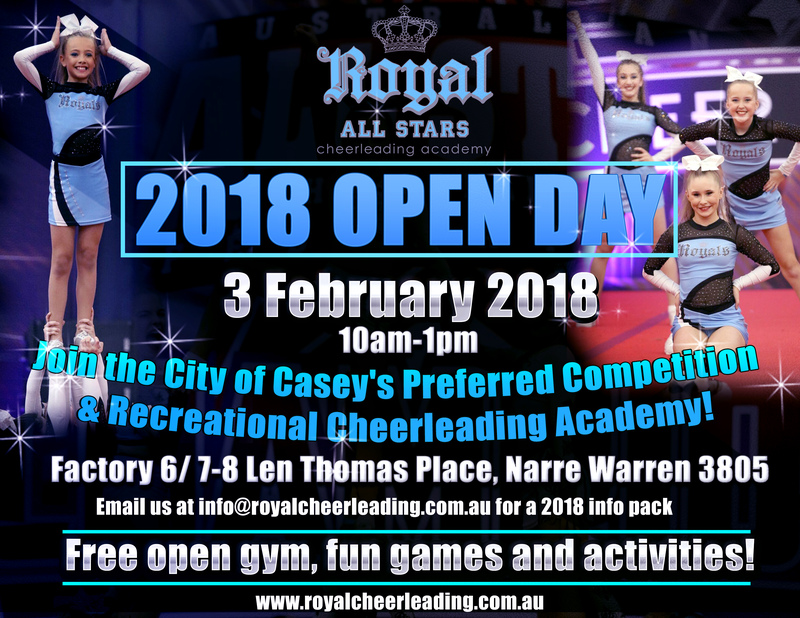 Email us at info@royalcheerleading.com.au for more information!